ETSI Communications Director, vice-chairman of oneM2M Marketing committee. 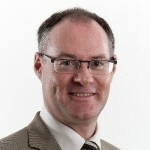 Mr. Ultan Mulligan is Director of Communications at ETSI, and holds a position of vice-chairman of the Marketing and Communications committee in the oneM2M Partnership Project – a joint collaboration between ETSI and 5 other ICT standards bodies across the globe. Previously responsible for Strategy and New Initiatives, developing new standardisation or pre-standardisation activities at ETSI including establishing the first Industry Specification Groups at ETSI, he has also managed OSA/Parlay API standardisation activities for ETSI. In ETSI’s Protocol and Testing Competence Centre he has managed specification and testing projects at ETSI in fields as diverse as X.25, DECT, V.5, Intelligent Networks, OSA, and DSRC radio (road tolling). Besides ETSI, he has participated in many standards bodies including oneM2M, 3GPP, ITU-T, CEN, and groups such as Bluetooth SIG and Parlay. Mr Mulligan has a B. Eng. from Dublin City University and an Executive MBA from the ESCP-EAP in Paris.